This Warm Chicken Salad is hands down my favourite salad of all time. The flavours work so well together and I just want to keep eating more of it. It is another fairly simple meal to make and you can make extra portions, so you have some for lunch the next day. It then becomes a cold salad, but it is still very tasty. 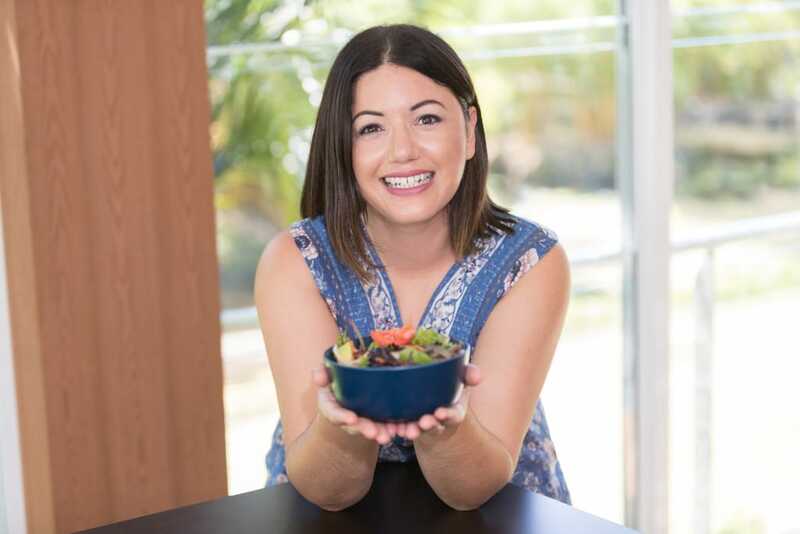 If you are after some more salads to make then check out my Warm Spinach Salad with Chicken, Bacon & Mushroom, Pumpkin, Beetroot & Avocado Salad and Byron Bay Salad. 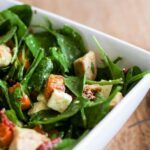 Add baby spinach leaves, avocado, feta, semi dried tomatoes, pumpkin, chicken and your dressing (optional) to a salad bowl and mix together.